Yellow-nosed Albatross (Thalassarche chlororhynchos), #06-09, May 14, 2006, Barnstable (Barnstable), G. Hirth* (First ballot: Vote: 8-1). #06-21, June 6, 2006, Rockport, Andrews Pt (Essex), R. Heil*. (First ballot: Vote: 9-0). In mid-May 2006, a week of northeastly winds culminated in a miserable weekend with winds gusting to 40 MPH. Sea watchers along the coast were treated to a fine display of pelagic species, but the bird of the storm was unequivocally an adult Yellow-nosed Albatross spotted at Sandy Neck in Barnstable. Three weeks later, during conditions apparently unaffected by weather, a sea-watcher at Andrew’s Point in Rockport was astonished to see an adult Yellow-nosed Albatross being pursued by a group of very vocal Herring and Great Black-backed gulls as it flew along the rocky shoreline. . It is possible that these two sightings may have involved the same individual albatross. White Ibis (Eudocimus albus), #04-19, August 4, 2004, Beverly (Essex), J. Paluzzi*. (Third ballot: Vote: 8-1). #06-18, April 1, 2006, Scituate (Plymouth), C. Nims*† (First ballot: Vote: 9-0). 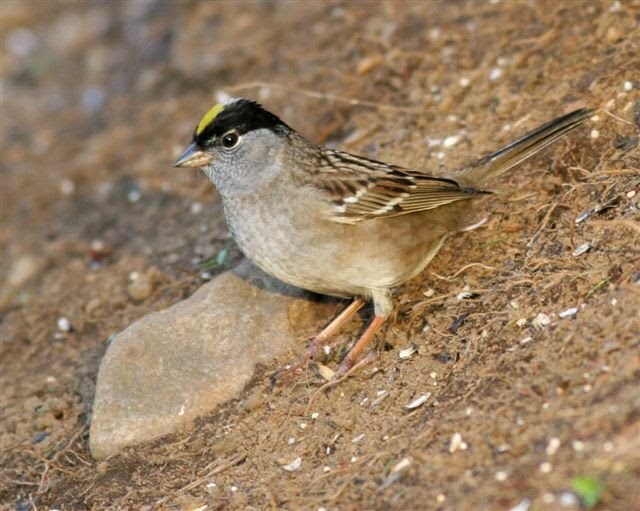 Alhough regularly reported north to Virginia, this species is prone to northward dispersal. Although the Beverly ibis was only observed from a moving car, it flew directly overhead affording the observer a definitive view of this distinctive species. 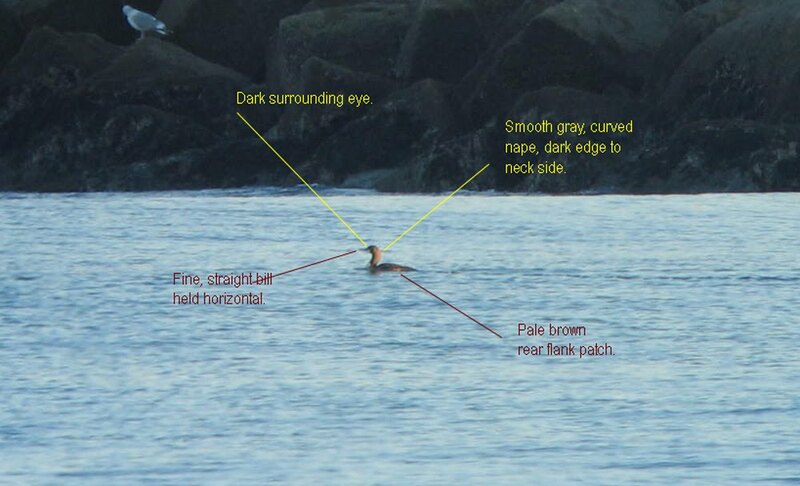 The Scituate bird was observed for 15 minutes and photographs accompanied the report. 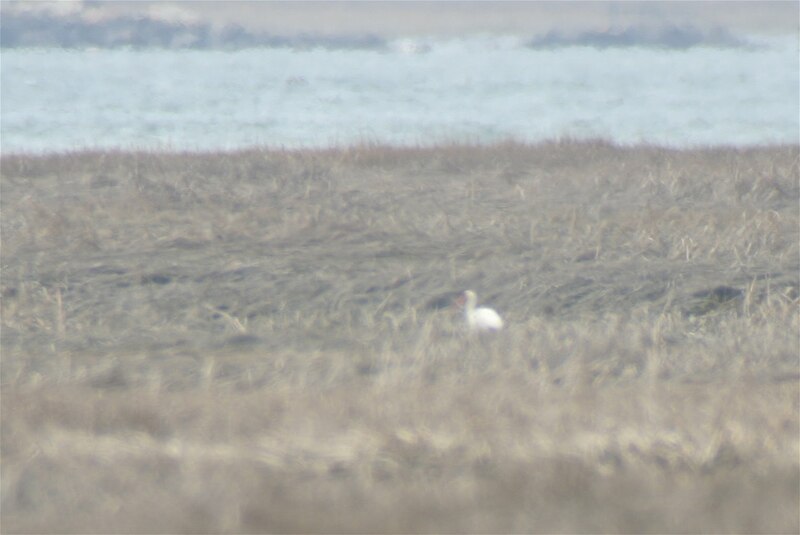 Photo of the Scituate bird by C. Nims. Franklin’s Gull (Larus pipixcan), #05-33, November 8-12, 2005, Turners Falls (Franklin), J. Smith†, S. Smolen-Morton* (First ballot: Vote: 9-0). #05-43, October 29, 2005, Rockport (A.P.) (Essex), Rick Heil* (First ballot: Vote: 9-0). #05-46, November 1, 2005, Ipswich (Essex), Rick Heil* (First ballot: Vote: 9-0). #05-54, November 26-December 13, 2005, Wellfleet (Barnstable), S. Jaffe, B. Nikula*†. (First ballot: Vote: 9-0). #06-03, May 23, 2006, Newburyport (Essex), Richard Veit* (First ballot: Vote: 9-0). Although a somewhat regular vagrant to Massachusetts, Franklin’s Gulls typically appear only every few years, however in the fall of 2005 there was a virtual irruption of this species. 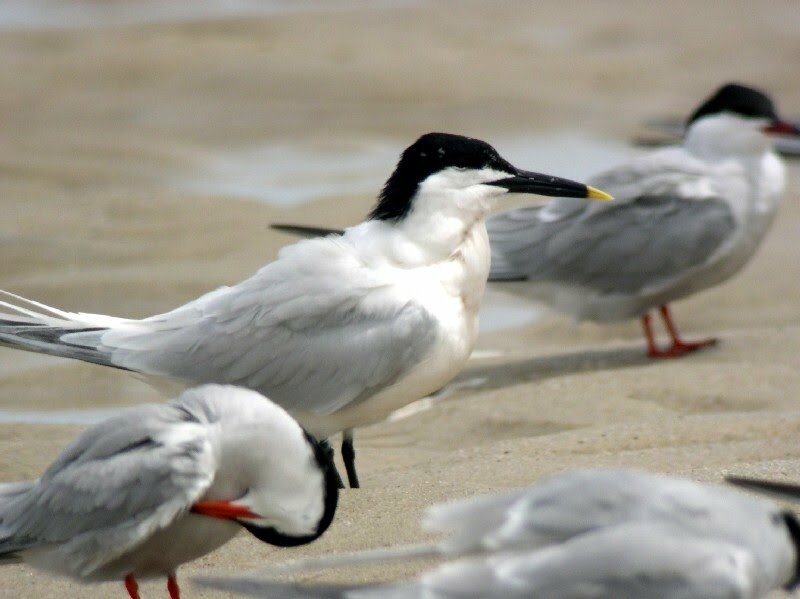 The MARC Tenth Annual Report included two Franklin’s Gull reports for August, and in the months following there were an additional four individuals reported to the Committee, and another was reported in May of 2006. All of these individuals were sub-adults, in either first or second-winter plumage. Of particular interest was the individual that spent a month at Turners Falls in Montague (Franklin), since inland reports in Massachusetts are notably rare. Photo by the South Monomoy Sandwich by B. Harris. Rufous Hummingbird (Selasphorus rufus), #06-27, October 28-December 30, 3006, Cotuit (Barnstable), T. Burgess*† S. Finnegan (banded) *†. (First ballot: Vote: 9-0). #06-28, October 15-November 16, 2006, Dennis (Barnstable), S. Finnegan (banded) *†. (First ballot: Vote: 9-0). #06-35, November 17, 2006, Cataumet (Barnstable), S. Finnegan (banded) *† (First ballot: Vote: 8-1). 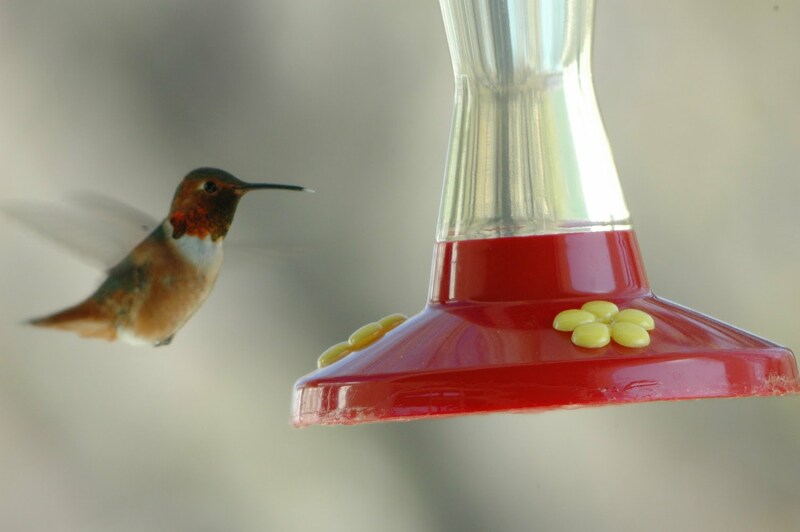 The fall of 2006 produced a flood of reports of vagrant hummingbirds, including records of no fewer than three Rufous Hummingbirds, all of which were banded, measured, and photographed. Cave Swallow (Petrochelidon fulva), #05-44, November 11, 2005, Barnstable (Barnstable), Mary Keleher (First ballot: Vote: 9-0). #05-45, November 12, 2005, Acoaxet (Bristol), Mark Lynch and Sheila Carroll (First ballot: Vote: 9-0).#05-35, November 10-11, 2005, Lynn Beach (Essex), L. Pivacek, R. Stymeist (First ballot: Vote: 9-0). #05-36, November 21, 2005, Swampscott (Essex), L. Pivacek (First ballot: Vote: 9-0). #06-34, 11/18/06, Plum Island (Essex), Tim Spahr. (First ballot: Vote: 9-0). The first record of Cave Swallow in Massachusetts was in 2003. 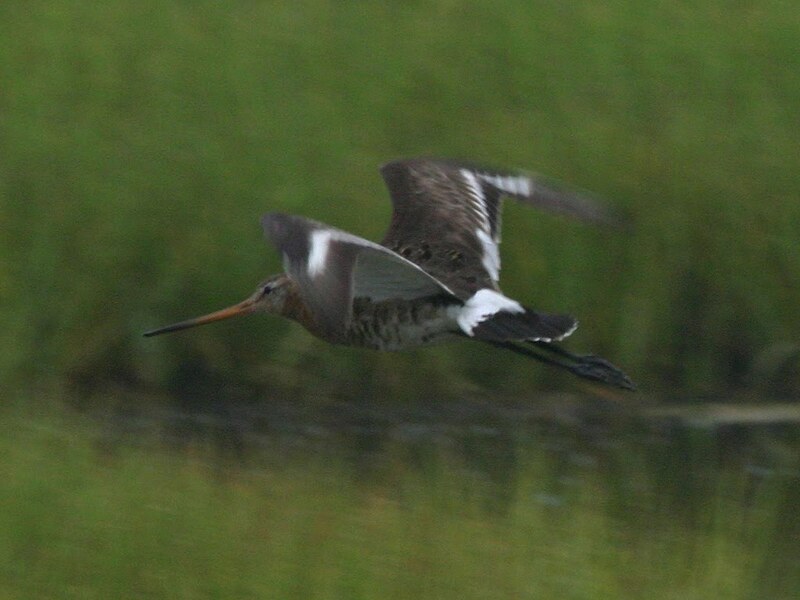 In 2005, only two years later, there were multiple sightings of birds reported from coastal several locations. 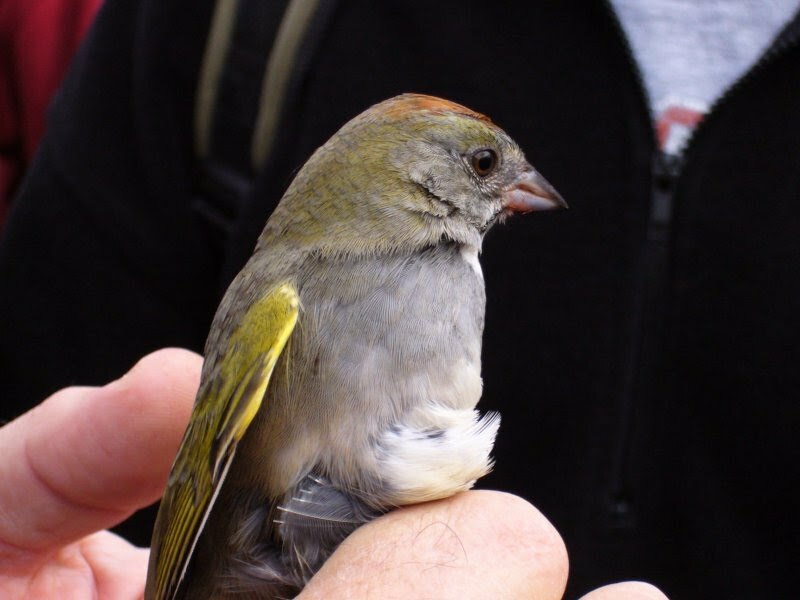 In 2006, however, only a single bird was reported. Northern Wheatear (Oenanthe oenanthe), #06-05, May 30-31, 2006, Nantucket. (Nantucket), Edie Ray (First ballot: Vote: 9-0). #06-06, May 25, 2006, Dennis (Barnstable), C. Walz. (First ballot: Vote: 9-0). 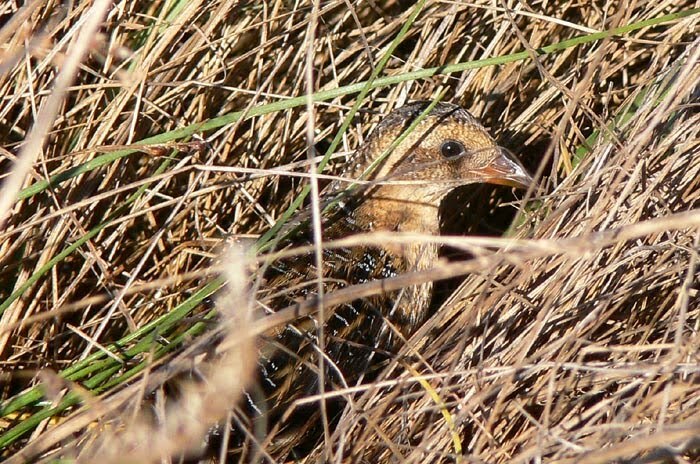 This species is a very rare and irregular fall visitor, with multiple birds occasionally appearing in some years; but spring records are even more unusual. 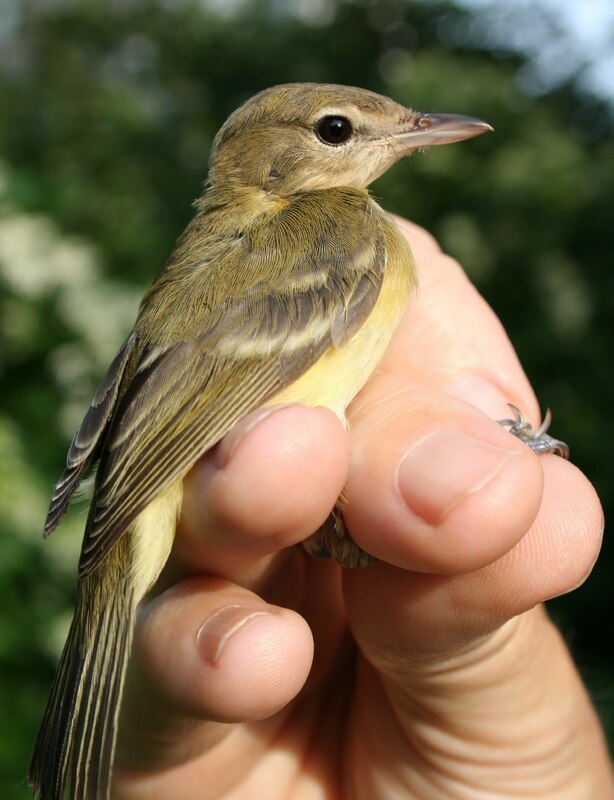 Both of these spring reports pertained to birds that were discovered on outer beaches, a habitat in Massachusetts where these rare northern breeders are most often found. Townsend’s Solitaire (Myadestes townsendi), #05-50, November 5-December 18, 2005, North Truro (Barnstable), B. Nikula, P. Trull et al. (First ballot: Vote: 9-0). #05-51, December 27, 2005, Barnstable (Barnstable), M. Keleher et al. (First ballot: Vote: 8-1). 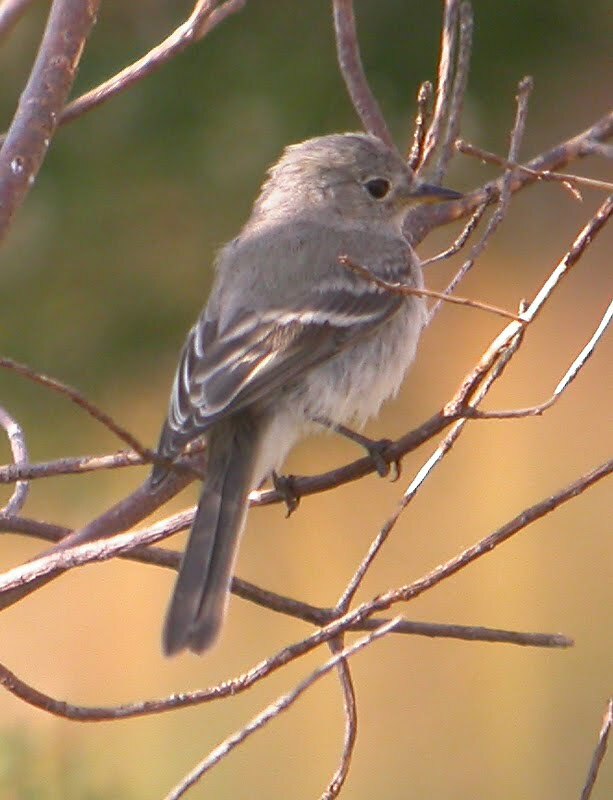 The appearance of even a single Townsend’s Solitaire in Massachusetts is always unexpected, but finding two together is unprecedented. Observers in Truro first finding the solitaires kept seeing a single bird appear repeatedly, assuming it was the same individual each time it was seen, until it called and a second bird joined it and both perched on utility wired only 20-25 feet apart! At least one of these two birds lingered until the Truro CBC on December 27. 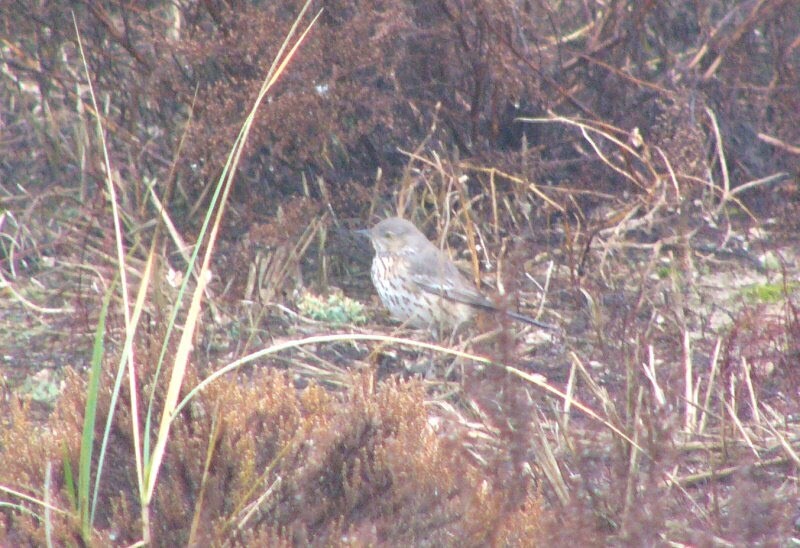 The same day, on the Mid-Cape CBC, a group of three observers discovered another solitaire in Barnstable. White-tailed Hawk (Buteo albicaudatus), #06-04, April 22-24, 2006, Hadley (Hampshire). This much-photographed bird was clearly a White-tailed Hawk, but the Committee ultimately did not accept this record because of questions about its origin. 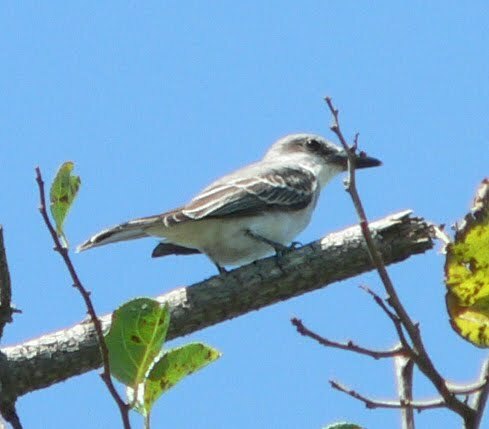 This is generally a sedentary, non-migratory species, restricted in the United States to southern and coastal Texas, with no eastern records beyond coastal Louisiana. The bird was discovered in a field next to a facility where falcons were kept, although the falconer did not, in fact, possess a White-tailed Hawk and other falconers consulted knew of no White-tailed Hawks being kept in captivity. 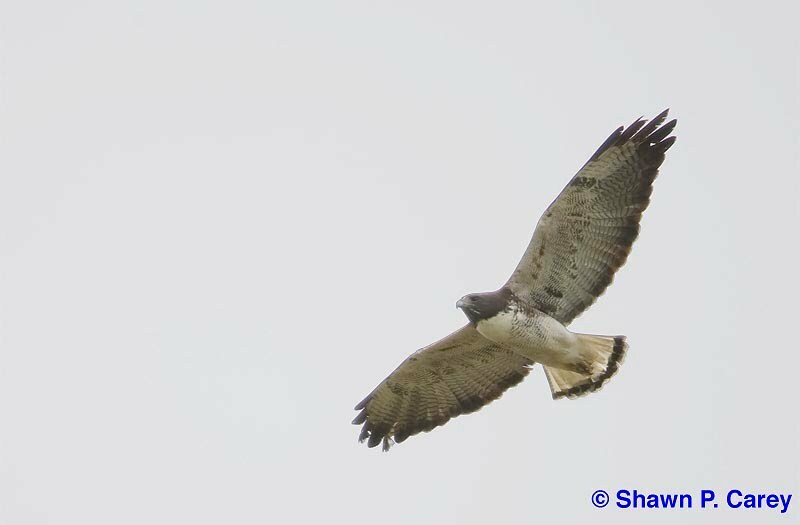 The Committee’s decision was complicated by the fact that on April 25 a White-tailed Hawk was observed near Baskin Ridge, New Jersey, and on April 27, another was seen at the Pilgrim Heights hawk watch in North Truro, Massachusetts. The Committee decided that although the facts of this sighting were extremely suggestive of wild origin, the sedentary nature of this species weighed too strongly against the possibility of a sudden irruption. While it is very rare to unknown in captivity, there are nonetheless people who illegally keep captive raptors, and the possibility of such a bird escaping or being released could not be ruled out. (First Ballot: Vote: 3-6). For more information about the MARC, or to see copies of previous MARC reports, see <http://sites.google.com/site/massachusettsavianrecords/>.Current members of the MARC are Dennis Abbott, David Clapp, Davis Finch, Richard Heil, Erik Nielsen, Blair Nikula, Robert Stymeist, Scott Surner, and Jeremiah Trimble (Chair). Marjorie Rines is Secretary. The author thanks Wayne Petersen and Jeremiah Trimble for editorial assistance.